The Quran is an amazing book no matter what language you read it in. But trust me when I say this; you have never really read the Quran until you have read it in Arabic. That is why you have to learn Quranic Arabic. The sudden changes in style, the short verses with powerful meaning, the rhyming words – it is something you have to experience for yourself. In fact, the language of the Quran is so sublime, that it froze the version of Arabic it was revealed in through time. What we know today as Modern Standard Arabic is almost the same as Quranic or Classical Arabic. The major difference is the addition of new words for the modern context. This is because unlike most other languages, Arabic never changed or evolved. Read more about how Arabic never changed in my blog post. But It’s Hard to Learn Quranic Arabic Right? I’ll try to give my honest opinion here. I’ve been learning and trying to improve my Arabic for more than 9 years. I have also taught it and watched people learn. And the answer to the question depends on what level of Arabic you are looking to achieve. 1. To achieve complete Mastery – It is something I would put in the region of ‘very very difficult’. I don’t think that is an exaggeration. I say this because Arabic is not like other languages. And even most native Arabs can’t speak with perfect I’rab (the word suffix system in Arabic). If you pay attention you find that in colloquial Arabic they don’t pronounce the word endings most of the time. To be fair to the native speakers, you could say that people don’t speak with the complete I’rab anymore. But, that was the way classical Arabic was spoken, but even then, people used to make mistakes. And that was seen as a huge embarrassment. There is even a word for making mistakes in I’rab – al-laḥn. Moreover, Arabic is exceptionally rich and intricate with a large number of synonyms for many words. The problem is each has a slight difference in meaning. For example, ‘lion’ has more than 300 synonyms. Al-‘Anbas is “The Lion from Whom Other Lions Flee”, al-Hirmās is “Aggressive Towards People”, and al-Asjar is “The Lion Whose Eyes Are Bloodshot”. “Names of the Lion by Ibn Khalawayh”, Page 2, Academia.edu, Retrieved June 12, 2018. Do you wish to sell it? What he meant was, ‘No, may Allah forgive you’. But the sentence could also mean, ‘May Allah not forgive you’. That sentence would have made the intended meaning perfectly clear. The addition of the ‘waw’ here makes all the difference. The reason I am telling you all this is because I want you to understand that learning Quranic Arabic is a lifelong quest. You definitely don’t need this level of mastery to understand the Quran in general. But, the more you advance your Arabic the more you see the beauty of the Quran. There are many levels to understanding the Quran. The effect it had on the people of the Quraish to whom it was revealed was profound. The more your Arabic moves closer to theirs the more you see the linguistic genius of the Quran. So while those ‘learn with 5 minutes a day’ apps and 2-month intensive courses are all a great start, remember that’s what they are – just a start. 2. To be able to understand the Quran – This should be your first milestone. And, this is one that will give you immense satisfaction when you achieve it. Contrary to what I told you about achieving absolute mastery over the language, this is an easy task. I am talking about being able to understand most of the verses of the Quran in Arabic. You might not yet be able to speak Arabic fluently at this level. But when you read the Quran with the aid of a translation, knowing the Arabic grammar and words, gives you a whole new level of insight into the meanings. In the rest of this post, I am going to try and show you the fastest and way to get there. Please note that I am not making any claims about this being ‘the best methodology ever’. This is the best I have come up with based on my experience and research. Also, I will keep updating this post if I feel improvements can be made Insha Allah. So be sure to check this post often. It’s obvious that vocabulary is the first thing people start learning when they want to learn a language. But if you want to learn Arabic to understand the Quran, then start with words used in it. It’s surprising that many books designed to teach classical Arabic to beginners have many words that are never going to be used in the Quran. If you want to understand the Quran, why waste time learning the Arabic word for seashells, dentist or radio? You can get to that later when you get past the basic level. 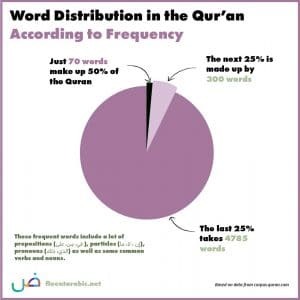 If you master the meanings of the first 70-100 most frequent words in the Quran, you will know the meaning of more than 50% of the words in the Quran. Amazing right? Apps like Anki flashcards and Memrise are also great for learning words. My favourite is Anki, where you can upload a list of flash cards, and it will keep showing them to you at specific intervals. This is based on a great learning technique called spaced repetition. But remember words are only going to make sense to you if you put them in the right context. That is why it is important to use a textbook simultaneously. Which brings us to step 2. Grammar is the backbone of a language. When it comes to the Quran it is not something you can skip. It is extremely important that you become very thorough with the fundamentals. Once you get the basics of Arabic grammar down, it just keeps giving. It will help you understand the Quran and every classical book you read. So take this step very seriously at the outset. The good news is that Arabic grammar is extremely logical and straightforward. The book I recommend is the same one I started out with. I still think it is one of the best Fus’ha (classical Arabic) textbooks available. It is called, ‘Al Arabiyyah Bayna Yadayk’. Consisting of 4 books and audio cd companions, the series aims to develop listening, reading, speaking and writing skills. What is different about this course is that it follows a hands-on approach and explains concepts through examples, without being overly theoretical. Ideally, you need a teacher for this series of books. If you can’t find locally, there are excellent free videos teaching the book. Make sure you check them out. If you just follow along with this book and actively keep learning vocabulary, you will soon start understanding the Quran. 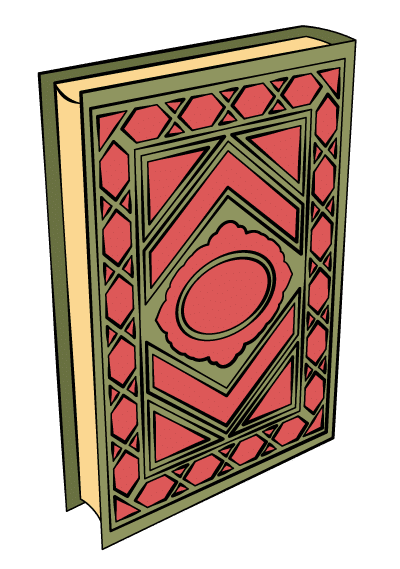 By the time you reach book 3 and 4, your Arabic will be pretty immaculate. Sometimes the grammatical concepts need a bit of extra explanation. For this, I recommend using an English grammar reference book like ‘Fundamentals of Arabic Grammar’ by Husain Abdul Sattar. Practice is the real game changer. During our university intake, there were a lot of guys who spoke no english. There were also a lot of us who wanted to learn Arabic. Some of us would hang out with people from other countries and make an effort to speak the language even though we were terrible at it initially. And some others were too shy and they would stick to their own circles and groups. At the end of the 4-5 years, those who made the effort to practice and make friends who spoke another language made drastic improvements. I’ve seen guys go from scratch to speaking amazing english. And the same when it comes to Arabic. You learned how the words work in a sentence from your text book. Now you need to actually say it to someone for it to be hardwired into your brain. You need to hear it being said to you. A lot. If there is someone you can speak Arabic to, great! If not you just need to get creative. Language learners have put together some amazing ways to immerse oneself in a language. One great resource is italki.com where you can find a native Arabic speaker willing to help you out with your Arabic in exchange for you teaching him English or your native language. You don’t even need a native speaker in the beginning. Someone who can hold a basic conversation in Fus’ha will do. For more language exchange sites see, ‘The 10 Best Language Exchange Sites’. Also, get your writings corrected by native speakers at lang-8.com. You can return them the favour by correcting their writings in your native language. Communities like Reddit.com/r/learn_arabic are great places to hang out with other active learners. It is also important to listen to Arabic lectures and programmes. Have you noticed that when you learn a new word in a new language you tend to forget it a few times before you can remember it? But if you hear a new word in a language you know well, you remember it just after hearing it once. This is because of the connections in your brain. It is used to the language. To hardwire Arabic into your brain likewise you need to get plenty of listening time. Focus on relevant words using frequency lists. Use techniques like spaced repetition. 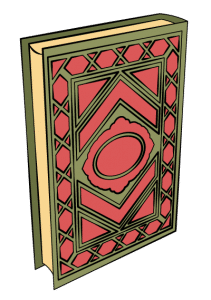 Follow at text book – ‘Al Arabiyyah Bayna Yadayk’. Find a teacher offline or online. Practice, practice and more practice. Use websites to find someone to practice with if you can’t find them locally. Hang our it relevant communities. Get help. If you stick to the plan with dedication where you are following a regular schedule. 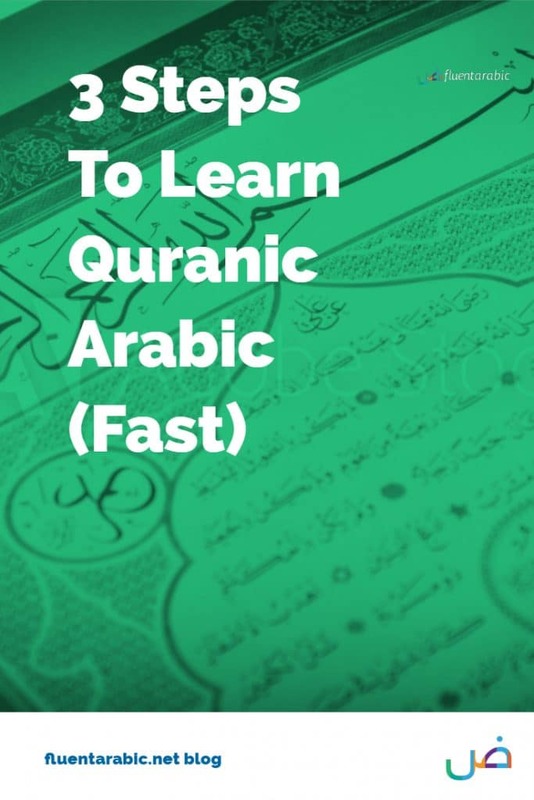 And if you make sure you are practicing, you will be surprised how fast you can make progress with Arabic. You will be understanding the Quran in Arabic in no time, insha Allah. If you ever need any help with planning your program, or there is something you can’t get your head around, just reach out to me. I will be glad to help if I can. It means ‘May Allah have Mercy on you’. Ameen and Barakallahu Feek Brother.